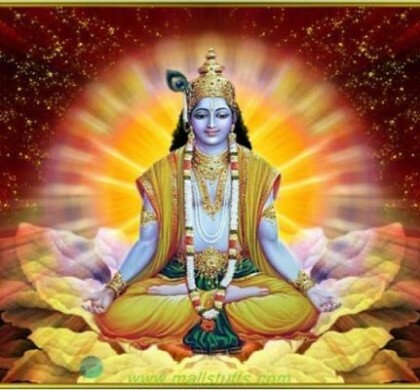 Vidur was known for his wisdom, honesty and unwavering loyalty to the ancient Aryan kingdom of Hastinapur. 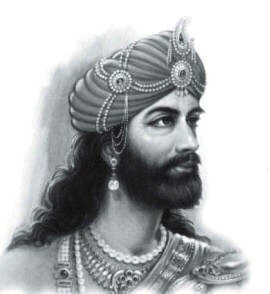 He was the Prime Minister of Hastinapur and advised king Dhritrashtra and when Yudhishthir became the emperor after the great war of Mahabharata, Vidur helped him with the administration of the kingdom before accompanying Dhritrashtra, Gandhari and Kunti on their last journey to the forest. He was the first one of the four to retire to the heavenly abode. Vidur was known to be impartial and capable of telling the truth without hesitation and without mincing words even in the most critical situations with possibility of extreme consequences. Dhritrashtra despite being elder to his brother Pandu, was not considered fit to take the throne on account of his blindness because according to the Aryan law a blind man could not be king. Therefore, Pandu was elevated to the throne. Dhritrashtra was very well aware of the reasons why he was denied the throne, but could not somehow convince himself that he was not wronged. Since he could not blame anyone or the law itself, he pinned the blame on his destiny. However, after the untimely death of Pandu, he became the king but his sense of having been subjected to some kind of ‘injustice’ persisted. This resentment was in a way responsible for the unfair treatment he allowed to be meted out to the sons of his brother Pandu. Yudhishthira, the eldest son of Pandu, was the eldest of all the princes including the sons of Dhritrashtra. Among Dhritrashtra’s sons Duryodhana was the eldest. 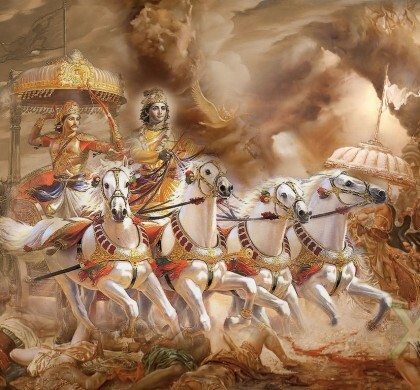 Yudhisthira was not only the eldest but temperamentally the fittest of all to be the king. 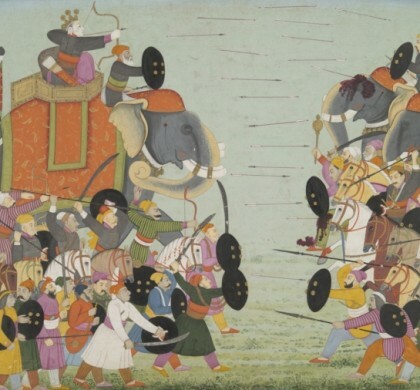 However, Dhritrashtra’s desire to see his own son as king overpowered his sense of right and wrong, just and unjust, which is primarily why the war of Mahabharata came to pass. Vidur was always on the side of the right and did advice Dhritrashtra on several occasions to not allow Duryodhana and his scheming advisors, particularly Shakuni, to take advantage of the situation. On one of such occasions Dhritrashtra shares his state of mind with Vidur and seeks advice. Vidur, as articulate and as clear as ever, dwells extensively upon the way a king should conduct himself the business of state. This dialogue is widely regarded as central to Vidur’s political philosophy and is often referred as Vidur Niti. It is also seen as a precursor to Chanakya Niti. 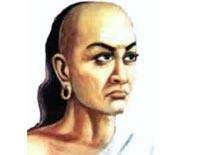 Doubtlessly, Kautilya’s political philosophy displays a clear affinity to Vidur Niti, but that is primarily because Kautilya did not digress a great deal from the pragmatic outlook of those times. However, he did improve it to a large extent, but did not really make foundational changes. Furthermore, the ways and means to acquire and retain power have not changed at the elemental level for as long as man has existed, which is perhaps because the human concept of power has remained unaltered, by and large. Vidur, after pointing out the factors that are generally responsible for giving one sleepless nights, says that he ‘hopes’ Dhritrashtra is not under any such circumstances. And finally adds, that the king is not grieving coveting the wealth of others. Vidur is unmistakably insinuating the continuing injustice against the Pandavas. Furthermore, by enumerating to what generally gives sleeplessness, Vidur implies that it also applies to the Kings and not just the masses. It, therefore, follows that a king is also capable of stealing, failing to succeed and of coveting others’ wealth; and these vices are as ignoble and harmful in a king as they are in a commoner. The mistake that Vidur points out on part of Dhritrashtra is two-fold. First, as a king he must make sure that he has the best advisors and the most competent administrators available. It is in the best interest of the state, which casts a duty on the sovereign to ensure that he does not let go of able aides. Second, Dhritrashtra is doing manifest injustice to Yudhishtra because not only is kingship his by right but he is also second to none in competence. Vidur also does not shy away from pointing out to Dhritrashtra the risk inherent in allowing the imcompetent and haughty princes to run the empire. Prosperity is the product of fearless enterprise together with the confidence of the masses in machinery of the State to administer justice, maintain order and ward off external aggression. Royal mismanagement coupled with visible injustice is quite unsettling to the masses and have the tendency to erode the faith of the people in the efficacy of the State. And neighbouring kings could very well take advantage of the loss of popular confidence. Furthermore, the fact that the king is unjust supplies a legitimate ground for a valid annexation. Vidur is pragmatic enough to understand the seriousness of the situation and advices the king at length without mincing words against allowing his feelings to interfere with the proper management of the State in accordance with good policy and Supreme Law. However, had Dhritrashtra heeded the advice of his able Prime Minister, the great war of Mahabharata could be averted. Originally published as part of Thinkers and Theory series in Lawyers Update in June 2013.